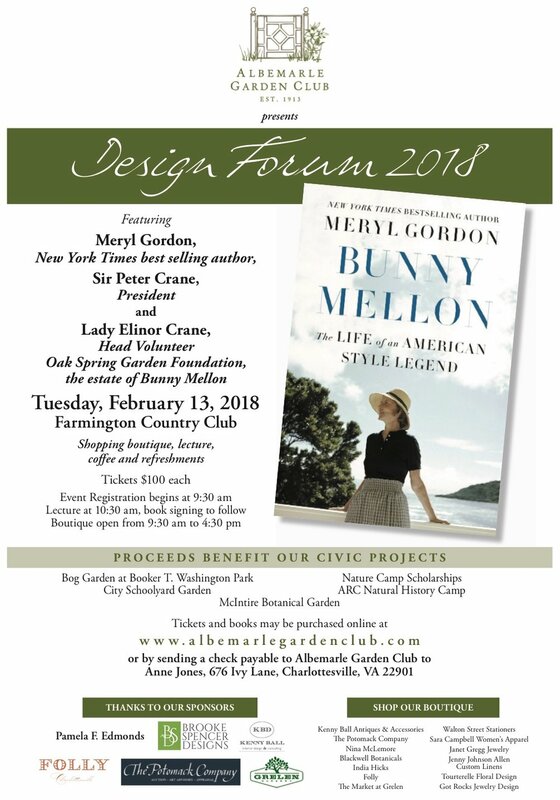 AGC's Design Forum will feature New York Times bestselling author, Meryl Gordon, as well as Sir Peter & Lady Elinor Crane, who will be discussing the life and style of Bunny Melon. Mrs. GotRocks is thrilled to be one of a select group of vendors included in this day-long event. For tickets, visit www.albemarlegardenclub.com/design-forum-2018. You do not need a ticket to shop! Let Mrs. GotRocks help you find the perfect gift, for yourself or someone you love, at The Market at Grelen's Enchanted Extravaganza! A collection of unique boutiques benefitting breast care outreach and women's health programs at Sentara Martha Jefferson Hospital. Preview Party: Thursday, September 28 from 6:00 to 9:00 p.m.
Friday, September 29 from 9:00 a.m. to 6:00 p.m.
Saturday, September 30 from 9:00 a.m. to 6:00 p.m.
Sunday, October 1 from 10:00 a.m. to 4:00 p.m. Antique dealers and artisans from around the area will gather at the Barn at Castalia to display their wares. Proceeds benefit the Grace Episcopal Church Community Outreach program. Mother's Day is right around the corner ... come to Leftover Luxuries for the After Hours Art & Shopping event and pick out your favorite GotRocks piece. Mrs. GotRocks will be traveling to Richmond in April to participate in the Ivy Market, a beloved tradition in Richmond that offers a collection of specialty boutiques from around the country. The Ivy Market benefits the Tad's Kids program through the Tad DuPriest Foundation (www.tadskids.org). If you are in the area, please come by to see me ... I would really love to see some familiar faces! Wear your GotRocks to the event and get 10% off your GotRocks purchase of $200 or more! All GotRocks items will be 10% off for one night! In-store purchases only.